I am so proud to tell you that I did not actually create this recipe. Why would I be proud to tell you such a thing? This kid sure is creative. He loves making snack bowls full of lots of different combinations of his favorites crackers, popcorn, and nuts mixed together. He also loves mixing different juice combinations to figure out what tastes the best. So I shouldn’t have been surprised when he asked me to pull out all the ingredients so he could make his own little dessert. Oh this boy is going to make one lucky lady very very happy one day. All he’s gotta do is scoop a creamy bit of vanilla bean right on top, and he’s golden. He’ll have that woman hooked for life. 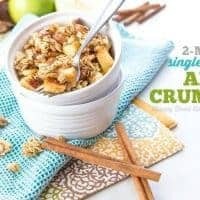 But until then, I’m the only lady he needs in his life, and I’m so totally fine with him whipping up this single-serving apple crumble for me in just 2 minutes flat. 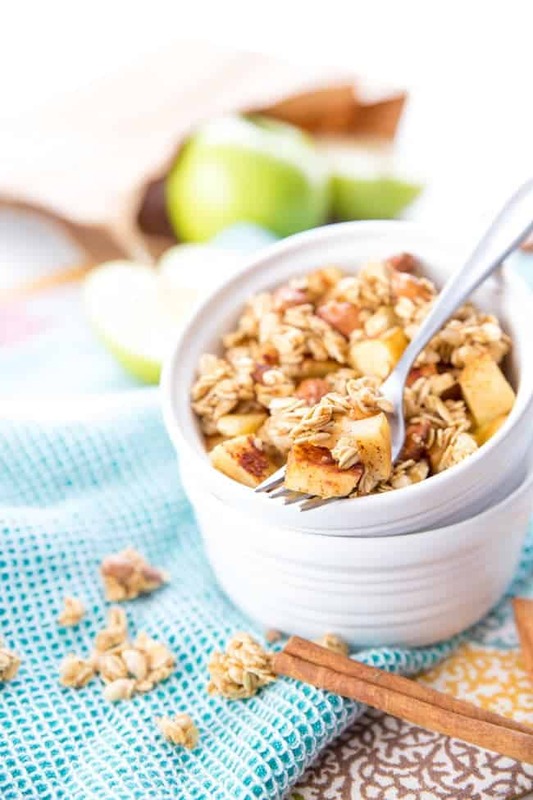 2 minutes and just a few ingredients to an apple-crumble heaven! 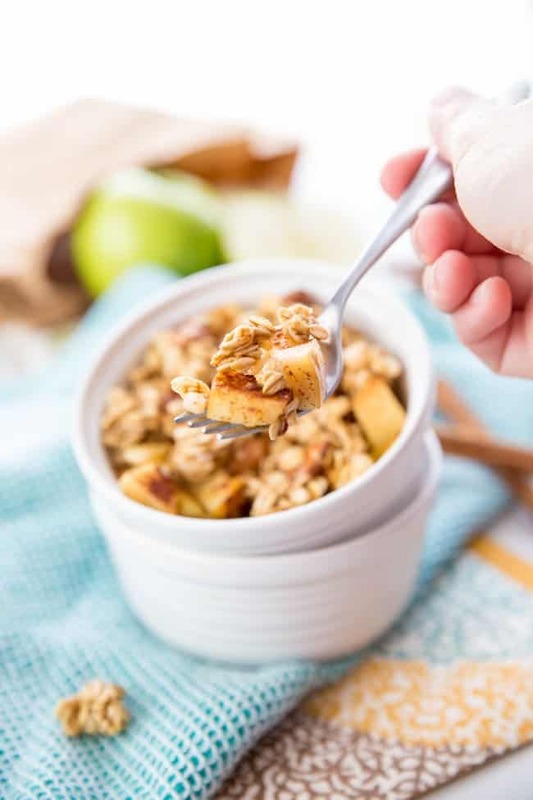 Add diced apple to a small microwave-safe bowl. 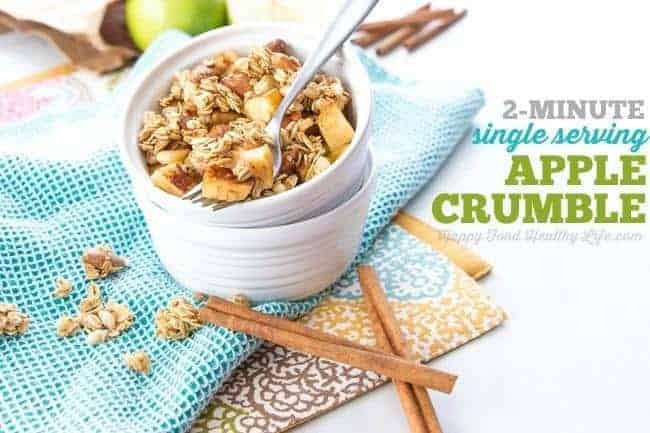 Top with cinnamon, granola, and desired amount of honey or agave for a little bit of sweetness. 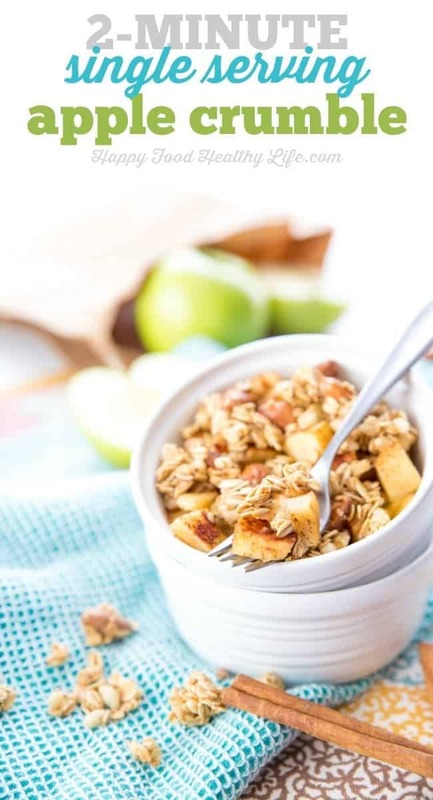 You'll already get a little sweetness from the granola and the apple, so you don't need much. 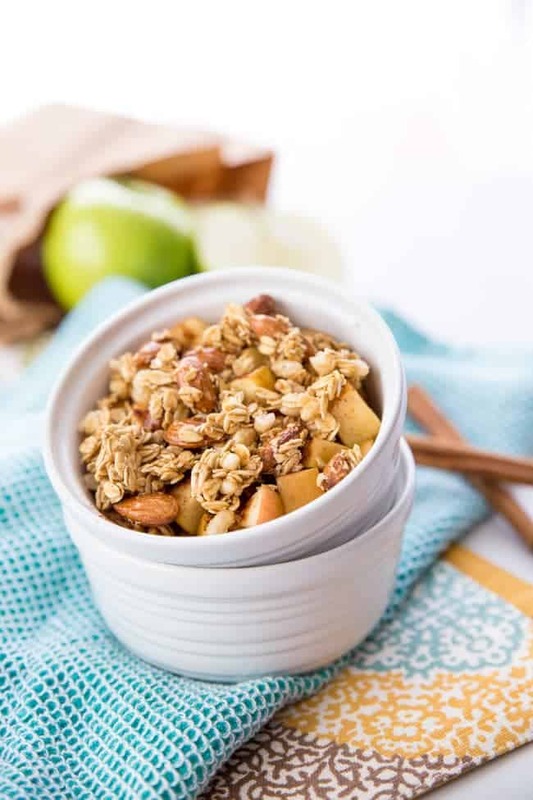 Microwave for 1 minute or until apples are soft and fragrant. If you enjoyed this recipe as much as I did, be sure to share it on Facebook, Twitter, Pinterest, Yummly, and StumbleUpon using the buttons below. Yum – I love how easy this is! Perfect for a busy night dessert.